Our mission is to enable people to easily connect and get work done. 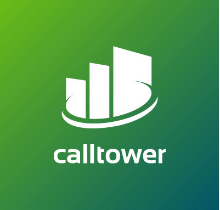 With the evolution of the telecom industry, CallTower has grown into a hosted unified communications and collaboration solution provider; changing the way people communicate around the world. 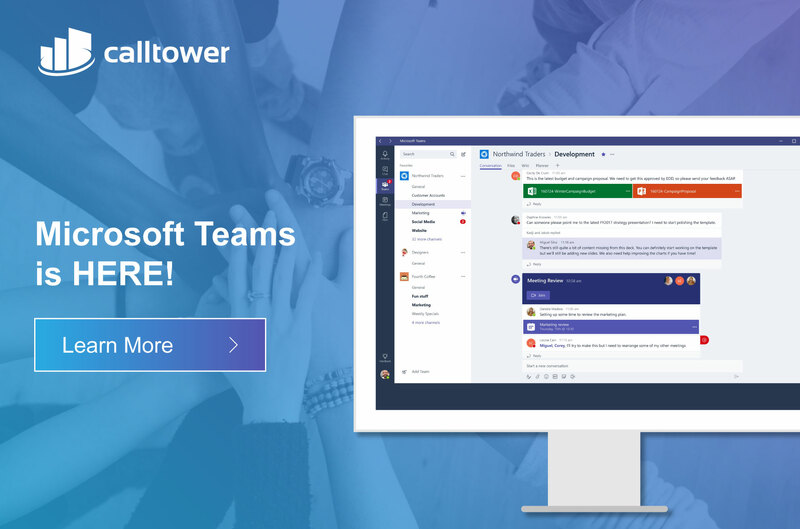 Microsoft Teams puts teamwork in motion, combining workplace chat, meetings, notes, voice and attachments, fully enabling collaboration from anywhere. Teams integrates with Microsoft's 365 subscription productivity suite, including Office, Skype, and feature extensions. Simplify communication. A single hub allows you to host audio, video, and web meetings, and chat with teams inside or outside your organization. Collaborate more easily. Coauthor and share files with popular Office 365 apps like Word, Excel, PowerPoint, OneNote, SharePoint, and Power BI. Customize your workplace. Integrate apps from Microsoft and third-party partner services to increase teamwork and productivity. Enterprise-level security. Leverage security, compliance, and manageability capabilities to protect information and workers wherever they’re working. What about Skype for Business? Over time, Microsoft Teams will replace Skype for Business Online Edition as the primary communication and collaboration solution. As Microsoft begins automated upgrades, you’ll want to familiarize yourself with Teams. We’re here to help you get started. Ready to learn more about Teams?